A road trip is always exciting and fun but for it to be successful, it should also be planned carefully, especially in winter when the weather and road conditions create more risks and hazards. No one likes to think they might hit a problem on their trip, but it is always best to be prepared. You might hit inclement weather, suffer a mechanical problem, or be involved in an accident. Your emergency road kit should contain a minimum of the essentials but can also be tailored to your own specific requirements. It is important that your kit contains the items to keep you safe and warm until help arrives as well as items to warn other motorists your car is disabled. Your car should be roadworthy before any trip, more particularly so if you’re taking a long drive so you need to do a car safety check. It is advisable to visibly check your tyres for tread wear and also check they are at the right pressure. Oil and water levels should also be checked. If you are unsure you can book a check over by a mechanic. One way to avoid any uncertainty, and to also avoid extra wear on your own vehicle you might consider leasing a car. Intelligent Car Leasing is a car lease company providing lease and contract hire deals to personal and business customers throughout the UK. No one wants to take a trip with fractious children in the back seat. It would be nice to think that little ones would fall asleep and remain so for the majority of the trip but in reality, children will need to be kept entertained. Plan this before you go, and you will have a much more pleasant trip. It is a good idea to let the children decide what forms of entertainment they want to take along but also have some ideas of your own for when they are bored of the book, music or video game. Winter roads tend to be a lot muckier than roads at other times of the year. The weather is wetter so there is more moisture and debris thrown up by other traffic hitting your windscreen. The weather is also inclement and changeable with a greater chance of rain, fog/mist, and even snow. Driving, on any length of trip, demands good visibility which means keeping the windscreen clear and clean. Check your wiper fluid and top up if necessary, before setting off. The temperature is an important factor in planning a winter road trip as is the weather forecast for the areas you will be driving through. 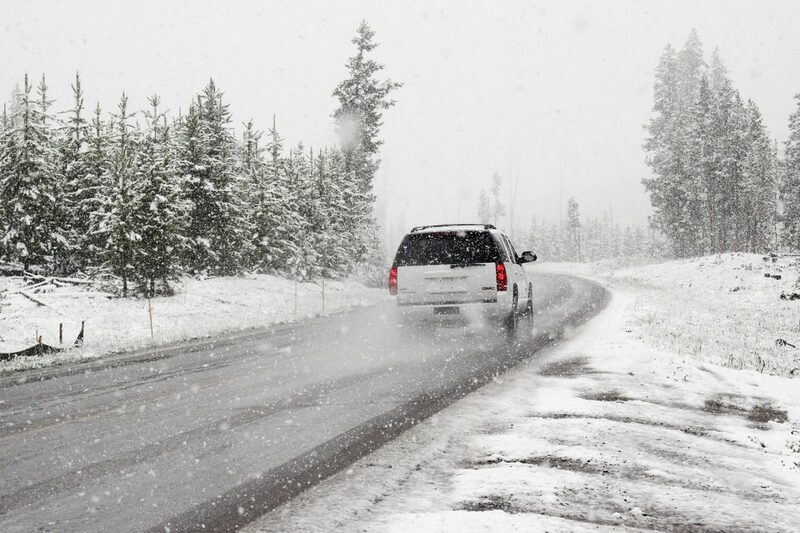 Your car and tyres need to be able to cope with any changes from mild to extremely cold, from dry to ice or snow. Also, make sure you and your passengers have dressed appropriately. It is a good idea to have some blankets with you in the event your car heating system stops working, you break down or get stranded.